Cultivate from seedlings and give them time to ripen. To get strong roots, first fill the cups for seedlings with soil up to ¾, and refill later. Plant the seedlings out when the weather is very warm already. If it gets colder, put straw around the plants. At least 1 m (3 ft) between rows and at least 0.5 m (1.5 ft) between the plants in a row. The second week in April for seedlings. The seeds germinate in 8 to 14 days. Fertilize well with home compost or plant on the compost. Use algae brew and solutions from garlic, onion, chamomile or sage. They need regular watering. Don’t water on leaves. Sweet corn, broad beans, black radish, beans, peas, beetroot, basil, Indian cress, sunflowers. If the soil keeps excess water, soil fungi appear and the plant dies away. Do not plant watermelons, melons, cucumbers or squash in the same place for at least four years. 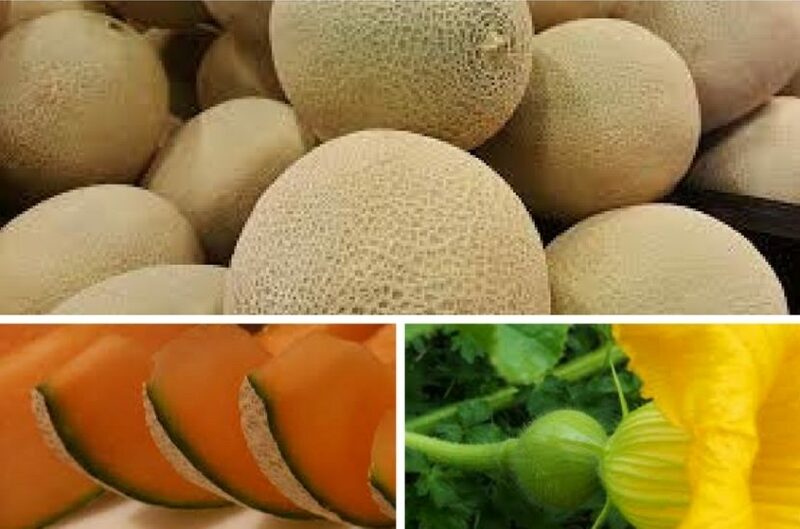 The fruits are ripe when they start to burst beside the stem and the melon can be easily torn from the plants. Store in a cool place for short time, as they lose their taste quickly. Melon is very beneficial to the body and refreshing in summer, as it contains a lot of water, vitamins B and C and mineral substances. Plant in the sunniest part of the garden, as it needs a lot of sunshine and warmth. Watermelon is considered a fruit as well as a vegetable. In warm climates it grows when planted directly outside, in other it is better to cultivate seedlings or grow in a greenhouse.